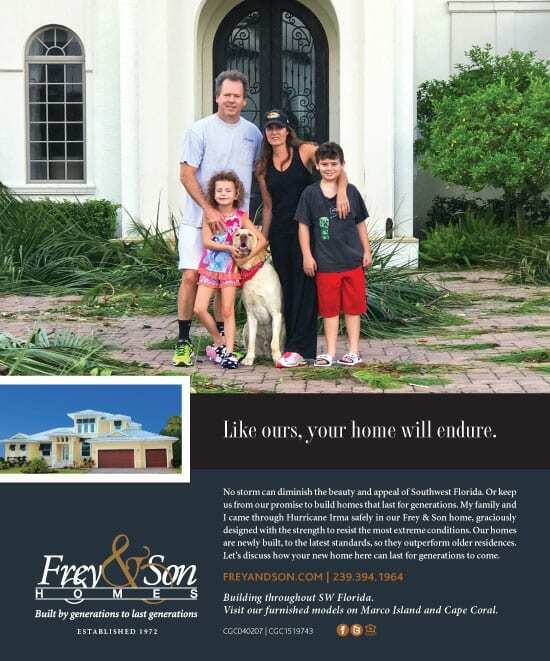 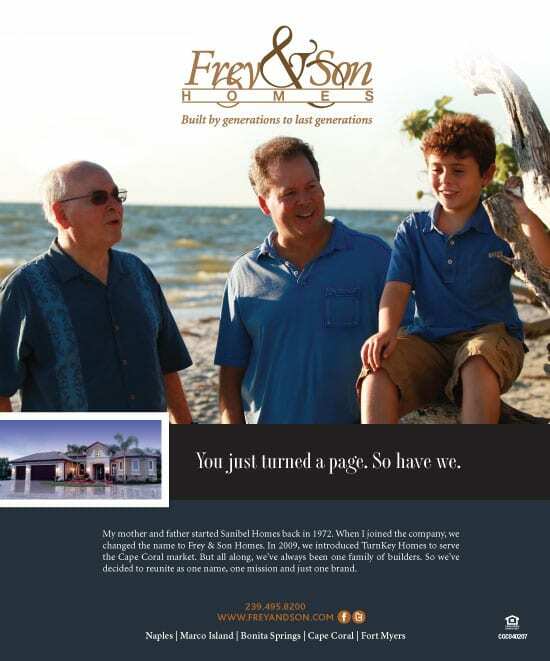 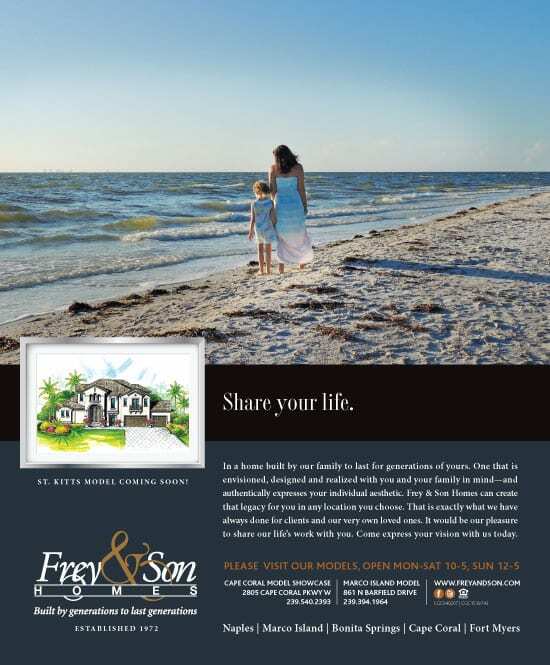 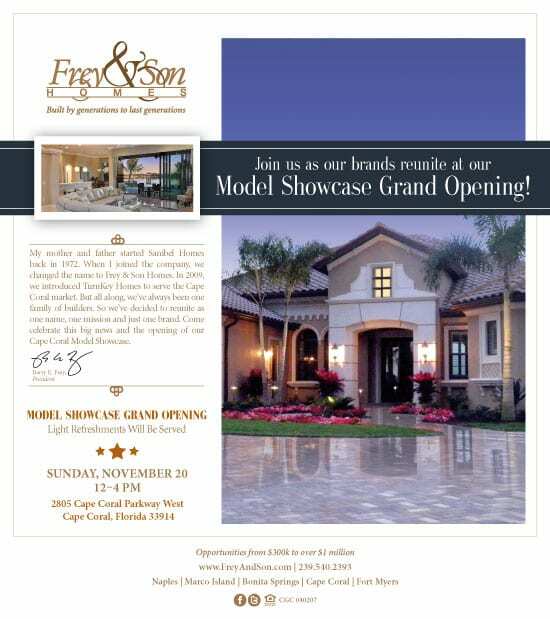 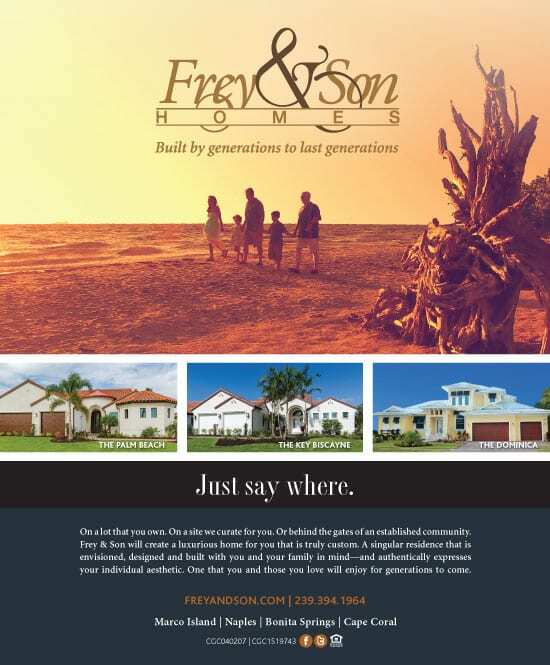 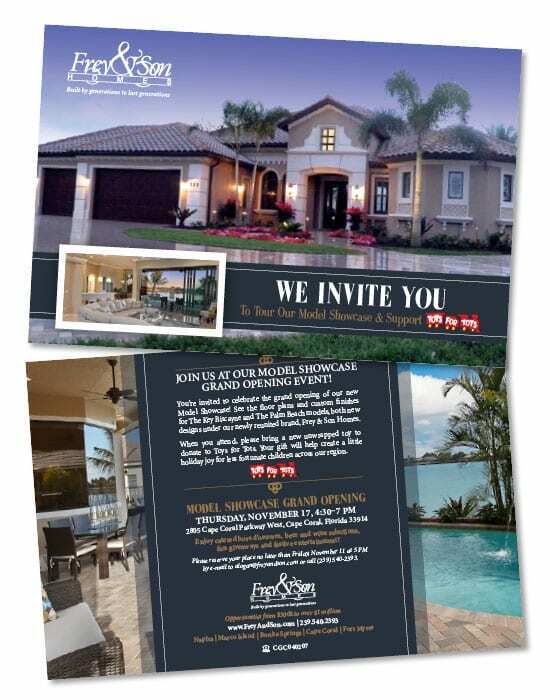 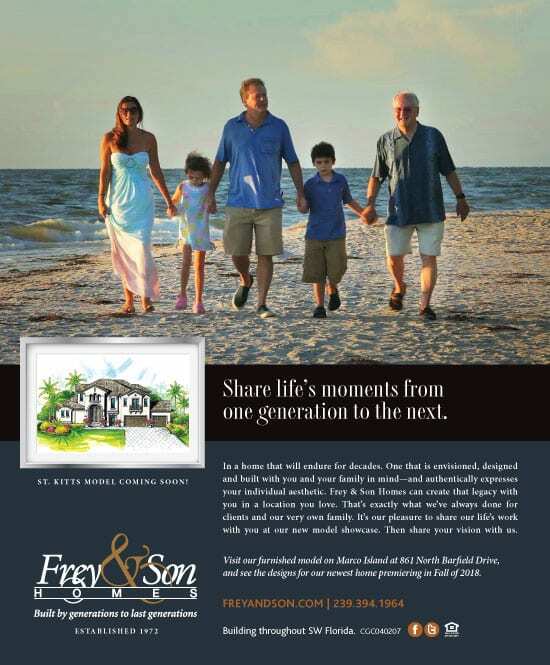 Frey & Son Homes has been building residences in Southwest Florida since 1972. 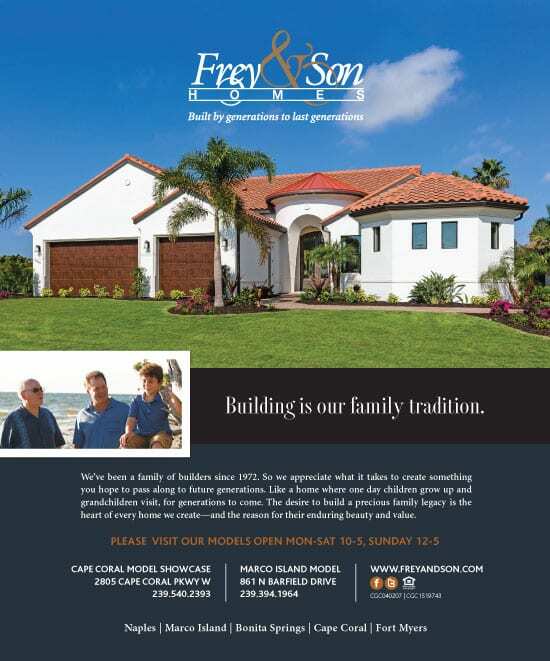 Every home constructed is built upon five core beliefs: value and mutual trust, architectural integrity, outstanding craftsmanship, a team approach and a platinum warranty. 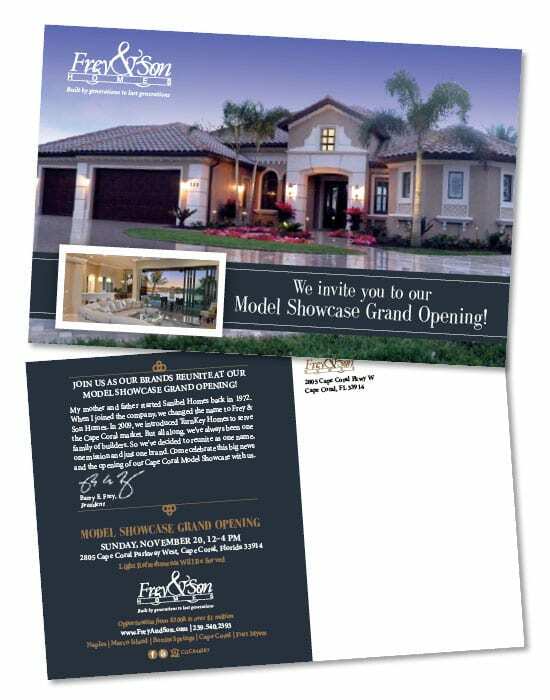 Spiro & Associates provided expert, professional marketing guidance in: brand extension, brand tone and look refreshment, logo evolution, print, collateral and other executions.